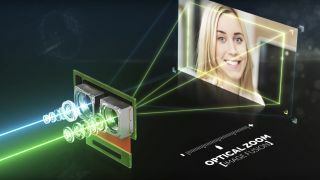 It's been consistently pushing the boundaries of what can be achieved when it comes to optical zooming. Now Samsung has an eye on the technology it is using and could well acquire the company that has created sensors behind Oppo's ground-breaking 5x - and now 10x - 'optical' phone camera zooms. Corephotonics works with pretty much all the top players in the smartphone market - it's a safe bet its tech is in many on our best camera phone list - so if Samsung were to acquire the company then it's likely that we would see its technology implemented in Samsung's phones in the future. As for the zoom technology that Corephotonics prides itself on, the company has a number of camera patents in its portfolio. These include being the first to publicly demonstrate dual cameras at work on a smartphone. It's also working on a 25x zoom for camera phones. Overall, it states to have 150 patents in the market (some still pending) and back in 2017, it confronted Apple over the camera tech in the iPhone 7 and actually has some comparison's of Apple's tech vs its own on its product pages.